A Little Lyrical - Page 5 of 30 - Mum & Wife musing about life! Well I can’t quite believe the Easter holidays are already over! Part of me was dreading them to begin with. Three boys on my own for two weeks was always a daunting prospect. As it turned out we had the most fantastic time with friends and family. We made plans for each day and thankfully hubby managed to have some time off too. 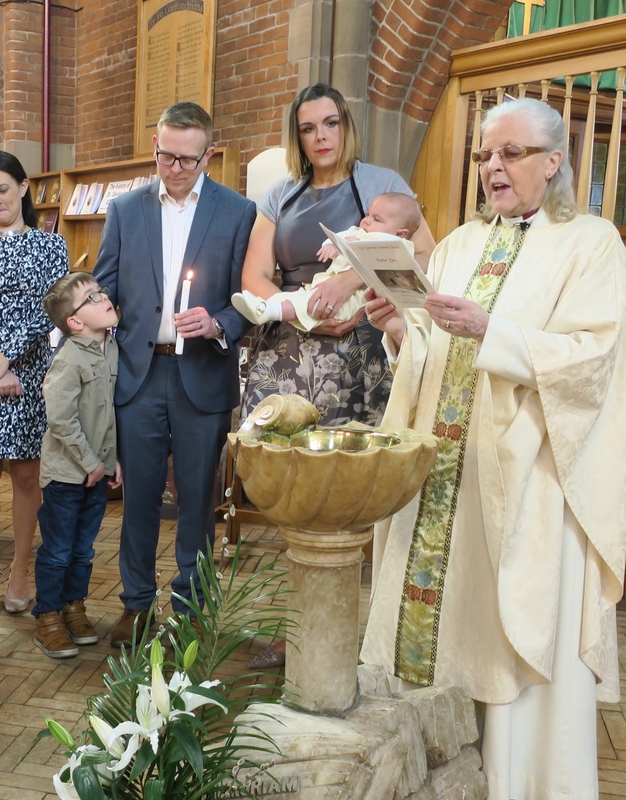 It started on a high with Roo’s Christening which was on Easter Sunday at our family church. It was a beautiful day spent with family and friends. After the service we came back to our house for some food and drinks. By 6pm everyone was gone again and the house seemed early quiet after such a fantastic build up to a wonderful day. In some ways sad for me as it’s most likely my last baby and so in turn is the last Christening celebration we will hold. 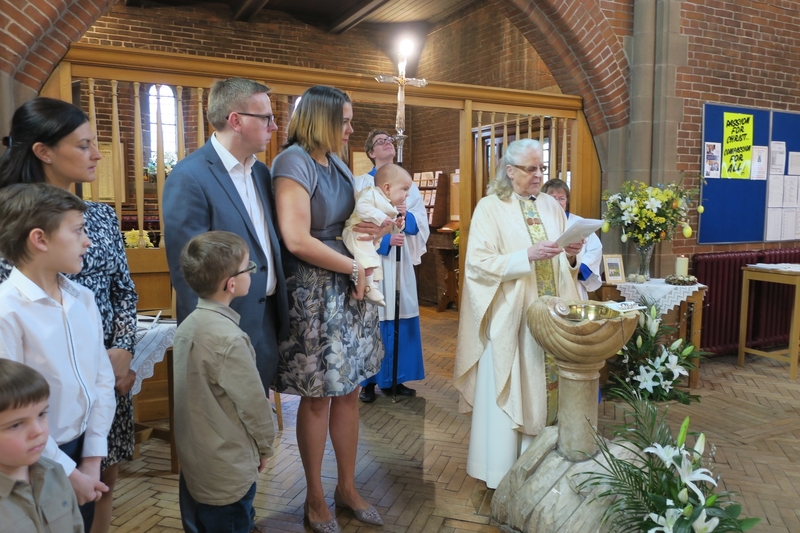 Roo behaved beautifully and when the time came to have him Christened he didn’t cry and was lovely. During the later part of the service I was grateful to his wonderful God mummy for taking him outside to settle him to sleep as he was getting tired and moany. The main man himself wore a lovely outfit I bought 7 years ago for the boys Christening. The outfit has been worn by all of the boys for their special days and I’m not sure now the best way to display it. I need to do some research and see what inspiration I can get (all ideas welcome) as I don’t just want to put it in a box and leave it for years to come. I wore a dress my mummy bought for for me from Monsoon and although I haven’t got back to my happy weight yet I felt good. My shoes I wa thankful to find in the recent Next sale and they went so well with the dress. The other two boys wore matching shirts form Next which I bought last year for a photo shoot with some dark jeans. Back at the house I got to sip some wonderful champagne (keeping the cork for my collection) and was a bit tipsy by bedtime! I had even made his Christening cake, and for a complete novice like me I was quite proud of my work! When bank holiday monday came I was a bit hung over so thankful for our house to hang around in and not get up to too much! Since the christening the rest of the holiday s have been a bit of a blur. I didn’t want to do a day by day list so will do some highlights. During the first week hubby had to go away for work and so my mum came to stay with us. This worked out well as it was a day we’d been planning for a while anyway. We went out to a local country park with a great adventure play area. It did rain for a while which cleared the playground off but it didn’t dampen our spirits! Easter eggs were abundant in out house despite us not buying many ourselves we are lucky to have such lovely family and friends who gave the boys eggs, my favourite was this chocolate chicken, sat on chocolate eggs with an edible basket! I’m pretty such it’s from Lidl. There was time spent at St Annes pier and beach on a sunny day, and another afternoon at Blackpool Zoo. Towards the end of the holiday my middle baby turned 4, how have 4 wonderful years passed so quickly? He got what he’d asked for, a batman car and a Spiderman outfit! My little superhero loving dude. We spent the day at Cheshire Ice Cream Farm. Another wonderful day out if you’re ever in the area. Free to get in and you just pay for what you do. And so we are at the end now, the last day. Back to normality tomorrow. Back to school and nursery. There are some exciting things coming up in the next few weeks. Thins to look forward to. I’m trying to enjoy every single day of maternity leave that I have left. Knowing it’s my last time. Here’s to the future and many more happy memories made. I am as always grateful for all that has passed, it has been amazing. My Sunday Photo – Thanks to my Mum! All the credit to my mum for this one, she took it on her phone and sent it to me before she went to work on Saturday morning. Lovely view along the estuary front in Lytham. Don’t Rock the Boat – Or you’re out! We love family games in our house so Don’t Rock the Boat was a welcome addition this week. Games that have a quick setup. Easy to understand. Most importantly fun to play with our age children! University Games kindly sent us ‘Don’t Rock the Boat’ to play. It’s suitable for age 3 and over. You will need a minimum of two players (although to be honest my 6 year old enjoyed playing alone in what he called solo mode!) up to a maximum of 4 players. The concept is simple its a balancing game. There’s a boat which is set up to balance. A whole load of pirate penguins. Players take turns to balance a penguin on the boat anyway they like. If a penguin falls off when it’s your turn you lose and the player last to place a penguin wins. My boys were finding inventive ways to hang or place the penguins. It clearly states in the rules that it doesn’t count as a lose if a penguin falls over. The penguin has to fall off the boat to count as game over. This point was taken to the extreme in our house as penguins were hung all over the boat! Another great game from University Games. Quick and easy to set up. Simple for little ones to understand and most importantly easy to play! This guy on the back of the box made me chuckle for quite a while! We are no strangers to cooking outside in our house. My husband is out in all weather with the BBQ or pizza oven. Friday round our way was such a lovely day, sunny and beginning to feel warmer. So with the warmth of the air we decided to make it the first pizza oven night of the year. We bought this pizza oven by Uuni a couple of years ago and it’s had a lot of use since then. It’s unbelievable quick to cook, just 60-90 seconds per pizza so you have to be prepared to get them in and out no hanging about. It has a stone base and is fired by wood pellets. One Friday we prepped 5 smallish pizzas to share between the 4 of us with various toppings. Once again it didn’t disappoint! Yummy yummy! Remember the ronseal adverts – does what it says on the tin. Well this week I’ve been sent some Slimline wine. Does what it says on the bottle! Quite often as a blogger I will kindly get offered things or sent things to review and/or write about. However I don’t want my blog audience to just keep seeing reviews. Thats not what I’m about. I will only ever write about things that I’d actually buy and use. Since I’m on slimming world at the moment and also love a bottle of red wine, when this arrived I thought perfect! It’s a simple designed bottle and is new on the market. It claims to be a zero sugar, zero carb wine. It’s available in white, red,rose and also very recently sparkling too. Now I’m no wine expert. My credentials are only that I have been drinking wine since around 21 years of age (thats about 15 years….cough cough!) I only started really liking red at around age 25 so roughly 10 years. I know what I like wine wise. I’m not a red meat eater so tend to just drink red on its own rather than with a meal as many people do. I couldn’t tell you the ‘underlying flavours’ or what vintage is what. I just no if a wine tastes nice to me and is easy to drink. So with a little trepidation I thought I’d give the Slimline Wine a whirl as my weekend drink. 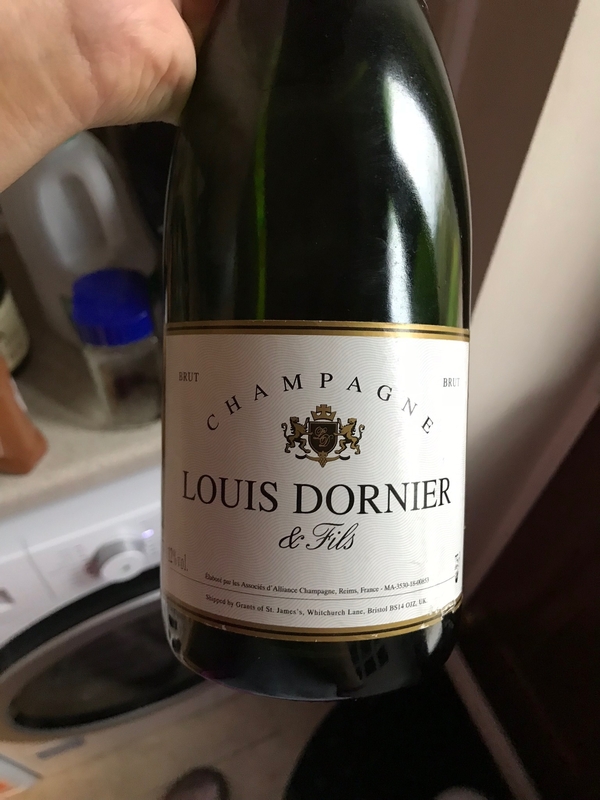 The website has this description “A proper Red, with all the depth and flavour you expect although a little lighter on the tongue. Made from Barbera grapes.” For those counting calories there are 55 per 100ml in the white wine. So much less than normal wine. Yes – I was really surprised! I was expecting it to be a different taste to regular red wine. It absolutely does not have any taste in it that would give it away as a low cal wine. I honestly didn’t expect it to be as nice as it is. I thought that perhaps it would be a little like no alcohol wine in that it’s an ok substitute. How wrong I was. In a blind taste test I’d never be able to tell that there is a difference at all. To me it was easy to drink….a little too easy. I was soon on a lovely second glass! It needs to be pointed out that its 10% vol alcohol wine so similar to usual wines. Again a fact I was surprised by. Currently its available to order on the website. You can also find out more about the wine on the website too. I haven’t taken part in Sunday Photo for a while, in fact I haven’t put a post out for a while either. Life has just got in the way. I have a baby on me 24 hours a day. He eats on me. Naps on me. Sleeps on me. You get the picture. It’s hard to type when I don’t have free hands! So yesterday I got the chance to take my eldest to a birthday party. He doesn’t get invited to a lot of parties as he hasn’t got a particular friendship group. He just mixes well with everyone. The party was at the local climbing walls and he loved it! I was so proud of how hard he tried and how much fun he had in doing so! Travelling with children can be daunting for parents, especially for those embarking on a flight with kids for the first time. The average flight time if you’re flying with Flybe is just 53 minutes. But these minutes still need filling! Little hands and heads get bored very quickly! To keep little ones occupied during the flight, Flybe have created a list of 53 activities, ranging from some timeless classics like ‘I Spy’ and the alphabet game, to drawing games such as hangman and colouring in, to downloading their favourite programmes on electronic devices – don’t forget to pack headphones as this will avoid the whole cabin having to listen to Peppa Pig. Being organised in advance will help any journey run smoothly, so for little ones don’t forget to pack their favourite teddy in the cabin bag as they may even have a nap. Here’s how to keep your little adventurers happy from take-off to landing. Pack a surprise goodie bag for them to unpack (£1 shop toys are the key!). How many? (“How many animals can you name that hatch from eggs?” etc). For child-friendly destination inspiration from airports throughout the UK why not visit Flybe.com. I love breastfeeding my baby. I’ve written about it lots of times on my blog. It’s not always been easy. However when it’s going well it’s amazing. Breastfeeding obviously requires me to be around baby all the time. In order for me to get a break from baby I need to express some milk for other people to feed him. The best time to express is after feeding has been established. So I waited until baby is eight weeks old knowing that my supply has now properly established. For expressing milk I use a mixture of an electric breast pump and a small one piece manual one. For the first two boys I had an electric steam steriliser. It took up a lot of room on our kitchen counter and constantly needed descaling. I also needed to be organised and make sure everything fit inside properly and I’d allowed enough time to get it sterilised. With this baby I haven’t bought a steriliser. I’d already decided this time to try Milton tablets, because I’ve been using them to clean and sterilise the boys school water bottles on the weekend in the sink. So when Milton approached me a couple of weeks ago I was happy to give their new products a whirl with the aim of being able to go to the cinema with my mum. Milton kindly sent me a Combi steriliser and a mini portable soother steriliser to test out and this week was the perfect time. The Combi works with both cold water sterilisation which takes 15 minutes and is super easy. Also microwave sterilisation which takes just two minutes. If you’re not familiar with Milton cold water sterilising it works by dissolving a Milton tablet in water then submerging the already clean items you want to sterilise in the water. After 15 minutes the process is complete. The combo steriliser can hold 5 bottles of any make at a time. When it’s done there no need to rinse just drain and go. As I am using breast milk I also want to make sure the pump is lovely and sterile too so I popped it into the combo with no problem at all. As baby hasn’t had a bottle at all yet I’m starting with just the very cheapest ones I can find. No point in paying lots of money when I don’t know if he’ll even take a bottle yet! When he was born both wrists had skin peeling off where he had been sucking his curled up fists whilst inside my uterus. I should have known this was a sign that he was a sucky baby. This means thought that he likes to settle himself by sucking on something. Usually this means breastfeeding but if I’m not around or I’m somewhere I can’t feed then I carry a dummy to try to settle him. Neither of my other two boys had a dummy, not through lack of trying but they just wouldn’t take one they wanted the real thing! Roo will only take one now if he’s super tired and it’s useful to try to calm him down. So carrying dummies out and about is totally new to me with this baby. Milton’s portable soother steraliser is just the thing for dummies on the go. It’s a simple concept but works really well. Inside the screw together ball shape are two sponges. When you first open them they are very hard and dry. They just need to be soaked for a little while so that they are ready for use. The portable soother steriliser uses tiny Milton tablets that you can buy separately (although it comes with some ready to use). Once its ready to use and the sponges have been dampened then you add the Milton tablet and a little more water. Inset the soother and wait 15 minutes and its sterile. However as a busy mum you’re more likely to want to take it out and about with you. That’s the thing I really love about it. It comes with an attachment for out and about. I’ve had it clipped onto the buggy and also the changing bag. If the soother has been used whilst out and about you can pop it back in the steriliser. As long as its clean. It will be sterile again in just 15 minutes. Thanks to Milton for sending the items for me to test out and write about. As always I only review items I would buy myself and all my opinions are my own. If you’re pregnant you may have been asked by the midwife or friends if you’ve done your birth plan. If you haven’t got a clue what that is or what to write then you’ve come to the right place. A birth plan is written down plan of your wishes when it comes to giving birth to your baby. It’s a guide for anyone looking after you during labour. Of course every birth is different and birth plans can’t always be followed to the letter due to circumstances. It is however a good starting point. Some women don’t want to write a birth plan and just go with the flow and that’s ok too. It is though good advice to think about what you might like to happen at each stage if things go as you hope. I’ve had birth plans for all three boys. I’m also lucky to have been able to access the services of One to One midwives with two of the boys. Thankfully my wishes were followed for those two births as my midwifes were familiar with my wishes and birth plan before the boys were born. At my most recent birth there was also a student midwife present who read my birth plan upon arrival. If you want to watch my birth it’s on youtube and I’ll leave the link at the bottom of the post. I thought it might help other parents to be if I published my birth plan. Please do remember that this plan is individual to me and my circumstances so feel free to pick and mix bits that you want. This plan is for a home birth and I have blanked out an personal information. My one2one midwife D****** (07***********) is aware of all my wishes with regards to the way I wish to be treated during labour. I wish to have a gentle labour, I prefer not to be spoken to while having contractions and I know from previous experience that I don’t like other people to be talking around me. I’m happy to speak in between contractions. I prefer not to be offered pain relief and will ask for it if I wish to utilise any. I will not consent to vaginal examinations during labour routinely but may ask to be examined, please do not offer. I wish to try for a water birth. I wish to be the first person to touch and hold the baby, when he is born I will pick him up from the water or his place of birth. I plan to have the placenta encapsulated so please do not discard it, please label and refrigerate the placenta as soon as possible after separation from the baby until my husband is able to take it home. In the event of a caesarean section needing to be performed either under a local or a general anaesthetic I ask that the placenta and umbilical cord stay attached to the baby (Lotus birth) and that I be given the baby for immediate skin to skin contact. In the event that I am unable to give skin to skin, please give the baby to my husband N***** so that he can give immediate skin to skin contact with the baby. If I am to have a manual removal of the placenta please be aware that I plan to have the placenta encapsulated so please do not discard it, please label and refrigerate as soon as possible after removal until my husband is able to take it home. If the baby needs to go to a special care unit then please do not give any artificial feeds, I will be breastfeeding the baby exclusively. 2. What do you suggest and why? 3. What would be the possible outcomes with and without this intervention? 4. How much time do we have to make a decision? 5. Are there any other courses of action open to us. We will be guided by balanced, informative advice. We want a healthy baby and mother and will take all necessary steps to achieve this. The week we’ve been testing out a Maplin dehumidifier. We are lucky enough to have a playroom in our house, which is the conservatory. The problem we have though is that it gets cold and damp in winter and hot in summer. Until we can afford to have a real roof put on to it we’ll have to find temporary solutions. One such solution is a dehumidifier in there to make it less damp and to dry out the air. They kindly sent us the Peltier mini dehumidifier which is a mini dehumidifier with a 2.2 litre capacity water holder. It’s designed for smaller spaces so could be used within a closet or utility room if you wanted to. It’s also recommended for use in a caravan or outdoor workshop over the winter months when you wouldn’t necessarily be using the space. It helps to keep smaller areas damp free. It’s mains powered but only uses 72w of power so doesn’t cost much to run. ITs also quiet and only produces 43db. This to me sounds like a quiet fan gently whirring away. I’ve had it running in the conservatory now for 3 days and I’m amazed at how much moisture it’s already managed to collect. Even though its a mini dehumidifier it still has an automatic cut off when the tank is full. So you can leave it safely running without constantly checking the tank isn’t over flowing. If you using it near to a water disposal area you also have the option of using the included hose. This helps by continually emptying the water from the dehumidifier tank. With the aid of a small electric radiator we’ve been able to heat the playroom too and make it a much more pleasant environment to play in. Previously the boys would avoid staying in very long due to how cold and damp it was. Instead choosing to drag the toys into the house, defeating the object of having a beautiful play space. If your looking for a small space dehumidifier then I’d say this one is just the job. If it’s a larger space you need to dry out then Maplin also have a great selection of dehumidifiers that would be perfect.